Dr. Monica Schoch-Spana, a medical anthropologist, is a senior associate with the UPMC Center for Health Security and Assistant Professor in the University of Pittsburgh School of Medicine Division of Infectious Diseases. Her research and policy interests include disaster resilience, community engagement, public health emergency preparedness and nuclear incident preparedness, response and recovery. Starting in 1998, Schoch-Spana has briefed federal, state and local officials, as well as medical, public health and public safety professionals on critical issues in biosecurity and public health emergency preparedness. National advisory roles include serving on the Steering Committee of the Disaster Roundtable of the National Research Council (NRC), the Institute of Medicine Standing Committee on Health Threats Resilience, and the NRC Committee on Increasing National Resilience to Hazards and Disasters. Schoch-Spana has led research, education and advocacy efforts to encourage authorities to enlist the public’s contributions in managing epidemics, biological attacks and other health emergencies. She has chaired national working groups to produce peer-reviewed, evidence-based consensus guidance for authorities on how to lead with the public’s trust and help during bioterrorism response (2004), how to engage community partners in preparing for a health emergency like pandemic flu (2007) and how to design a community-based approach for nuclear incident preparedness (2011). She has organized three national conferences on community resilience and public participation in emergency planning. 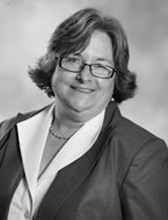 In 2003, Schoch-Spana helped establish the Center; prior to that she had worked at the Johns Hopkins University Center for Civilian Biodefense Strategies since 1998. She received her Ph.D. in cultural anthropology from Johns Hopkins University (1998) and B.A. from Bryn Mawr College (1986).